The commode is plated in amaranth wood with four rows of four drawers that open to the front. 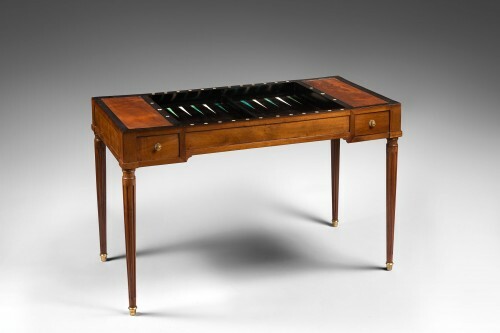 They are separated and enhanced by thick brass lines, “traverses”. 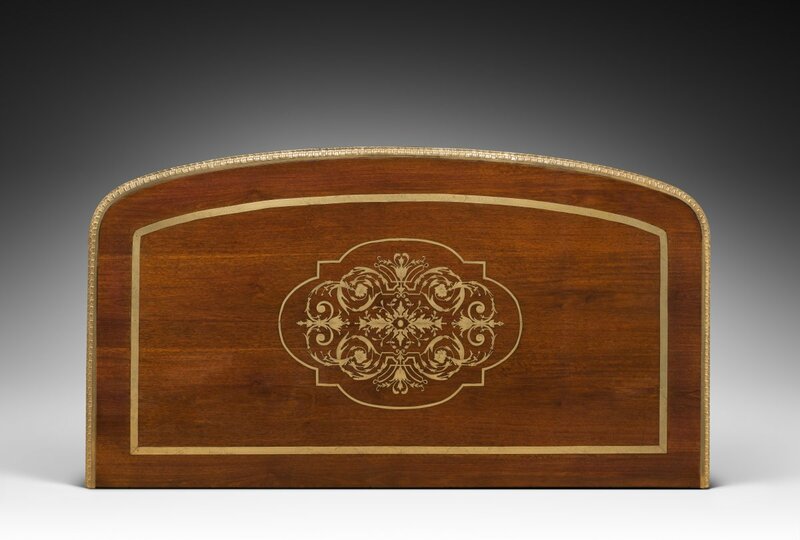 Each drawer has a border in brass that is engraved with decorations that are inspired by nature. On the sides of the commode there is a diamond that is made up of large double brass lines and it is inside of a “double frame”. 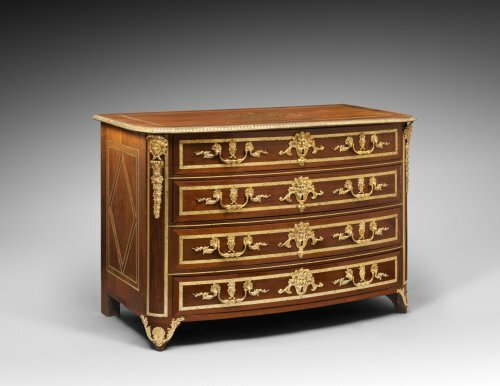 The corners are rounded therefore giving a less severe look to the commode. The corners are framed with the same brass decoration that is on the drawers. 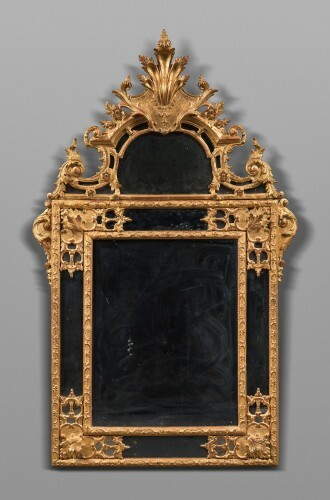 Inside of the frame there is a bronze decoration of a garland and a figure wearing a radiant headdress. 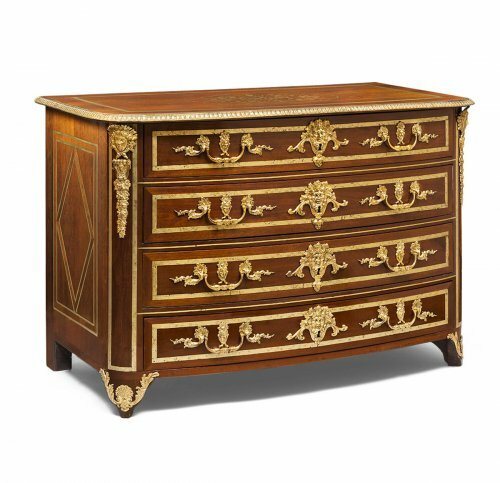 Each drawer is opened with the help of a handle that is chiseled and in gilded bronze; which is attached to a cluster of swirling leaves. Above each handle is a feminine figure. Each keyhole is decorated with a laughing Bacchus, and he has a headdress made out of grapevines. 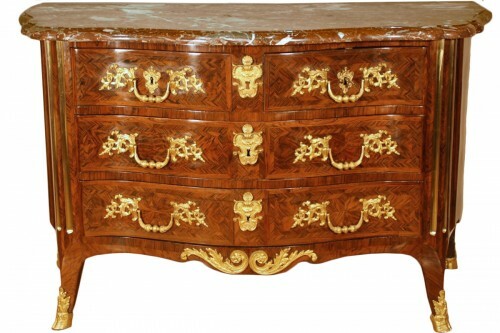 The commode is topped off with wood and is adorned with arabesques and interlacing patterns. It is finished with a slanted border of thick brass. 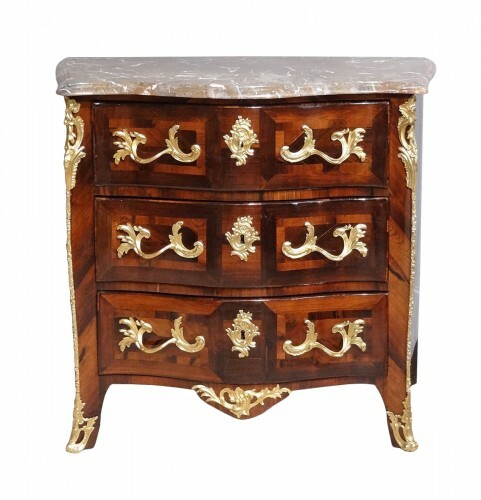 The commode stands on four feet in which the two front feet are decorated in acanthus leaves and seashells.